Anti-Brexit activists launch sarcastic campaign to install Labour MP Kate Hoey as Conservative party leader over her support for leaving the European Union. 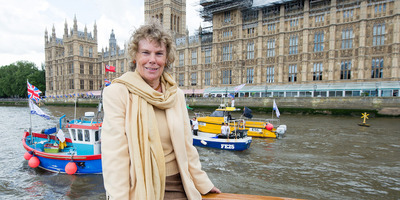 Hoey voted, along with four other Labour MPs, with the Conservatives on a number of key amendments in Brexit legislation which ensured Theresa May’s survival as prime minister. Hoey represents Vauxhall in London, one of the most pro-Remain constituencies in the UK. 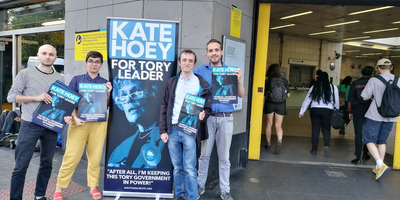 LONDON – Pro-European Union activists have launched a campaign to install Labour MP Kate Hoey as leader of the Conservative Party amid fury over her support for Brexit. 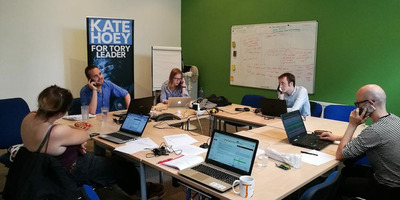 Supporters of the sarcastic campaign, organised by anti-Brexit group Another Europe, say they were prompted to take action after Hoey voted with the Conservative government on a number of key amendments to Brexit legislation just before the summer recess. “The government could well have fallen on 16 July,” a statement on the ‘Hoey for Leader’ website reads. 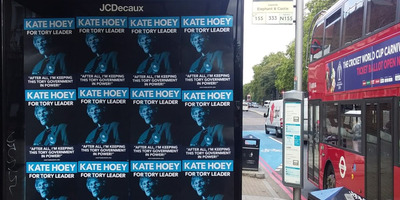 Activists were photographed phone-banking and postering for the campaign on Thursday in Hoey’s constituency around Oval tube station. Hoey represents Vauxhall in London, one of the most pro-Remain constituencies in the UK, with 77.6% of voters opting to stay within the EU in the 2016 referendum. Her constituency Labour party (CLP) has repeatedly voiced frustration over her support for Brexit, and in July passed a no-confidence motion in her leadership which could see her deselected. The motion stated: “Vauxhall is an inner city constituency whose diverse, multi-cultural and multi-racial community have suffered eight years of Tory cuts and austerity, yet our MP is voting to prop up that Tory government and for a Tory Brexit which threatens job, peace in Northern Ireland, and the future of the NHS. 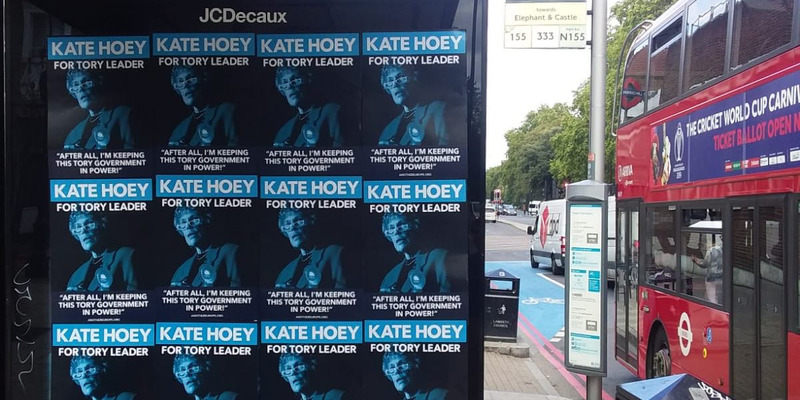 Hoey responded that she was simply blocking a “Brexit in name only” which she believes was neither “in the Labour manifesto” or supported by the 17.4 million Brits who backed Leave in the 2016 referendum.